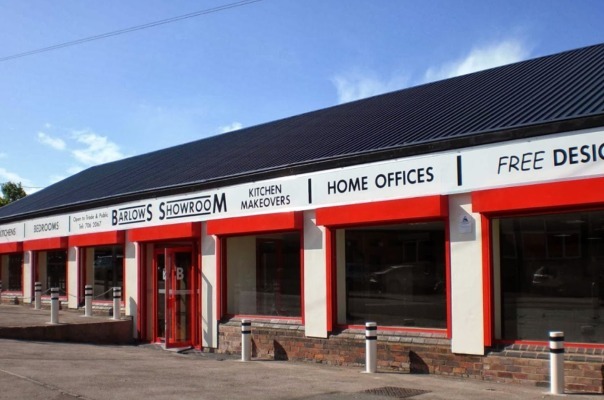 Established for over 45 years, Barlows Boards Ltd. are a friendly, family run business, specialising in supplying Melamine Faced Chip Board (MFC), Medium Density Fibreboard (MDF), Laminated and Solid Surface Worktops. Members of the Guild of Master Craftsmen, our bespoke design and build team produce School Furniture, Office and Retail Furniture, Counters, Receptions and Lockers and supply products from leading brands such as Egger, Kronospan, Omega, Durapal, Formica, Polyrey and Getacore. We make Kitchen and Bedroom Units to order and have a large range of components for the Kitchen Trade. We have State of the Art machinery with facilities for cutting and edging boards on site and can design and manufacture Bespoke Laminated Desktops and Worktops including Curved Shapes. Our ‘bulk’ buying of raw materials means that you are ensured great competitive prices and we pride ourselves on our prompt and responsive delivery services. Over the last 40 years, many of our customers have come from recommendation. We have had many repeat customers and even entire families who have had a Barlows Kitchen. We do not spend lots of money on advertising. We rely on word of mouth and believe there is no better form advertisement. We believe in listening to what you want from your design and aim to achieve this with a little help and guidance from our experienced design team. We believe this can only be achieved by providing quality products combined with our experienced family run team that give the personal touch to ensure your new kitchen or bedroom exceed expectations.